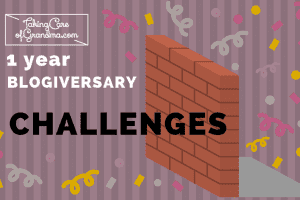 Today, in honor of TakingCareofGrandma.com’s One Year Blogiversary, we are looking back at the challenges I’ve ran into over my past year of caregiving and blogging. The issues I have struggled with the most are managing work and life balance, dealing with decline, and working as a team. 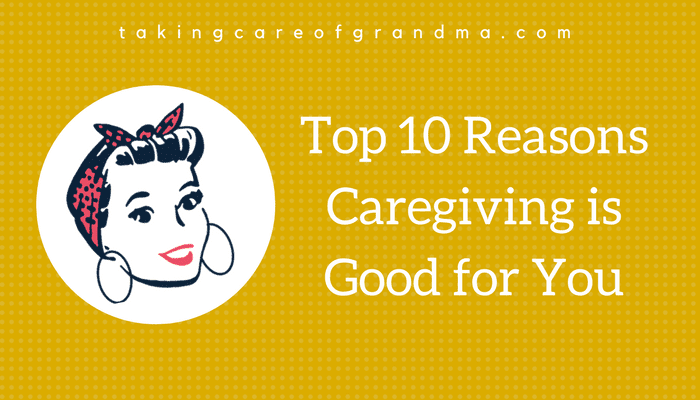 For over a year and a half, I cared for Grandma mostly by myself. I got the occasional Wednesday off when her longtime pal, Linda, came over for a visit, and Fridays when she went to her Life Group. My mom checked on her once a week during the day. I knew (and trust me, plenty of people took it upon themselves to point out) that having such little support wasn’t good for either of us. So when Karen joined our team in last June, it was like a breath of fresh air. Having Karen gave me peace of mind. I could go to work and actually focus on my job, knowing that my grandma had someone to keep her company. I no longer had to rearrange my schedule or use vacation to take her to appointments. I even successfully traveled for work a few times thanks to her being with us! When we brought Karen on to spend time with Grandma during the day, my actual caregiving schedule didn’t change very much. I still spent most evenings with her through the week and big chunks of time on the weekend. But having Karen meant that sometimes I could take a break in the evenings sometimes knowing she wasn’t by herself allllll day. 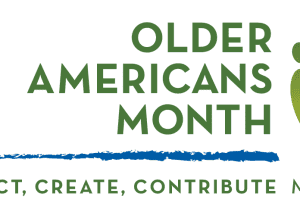 If you’re a family caregiver or a parent, you know that your caregiving responsibilities don’t stop just because you’re not physically present with them. It is important to remember that all this time I was responsible for Grandma, I was also Calvin’s guardian. I saw him anywhere from once a month to few times a week. 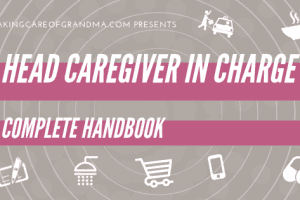 If you’re a family caregiver or a parent, you know that your caregiving responsibilities don’t stop just because you’re not physically present with them. So aside from the time I spent with these two, I also spent hours on the phone, in meetings, at the store, searching for resources, or simply mentally agonizing over them. Things were fairly stable over at Grandma’s and I was managing work and her life pretty well, but internally I was feeling burnt out. I could barely get up in the morning. I carried guilt around like a knapsack over my shoulder for what I felt I should be doing at Calvin’s. 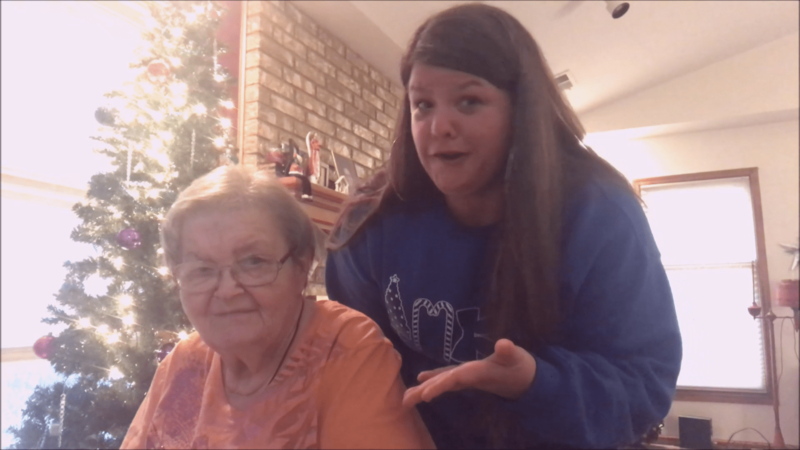 I stressed out about my grandma spending days alone. I knew that I myself needed more than just Friday off. When I did get to Friday, I was too tired to do anything. Saturday and Sundays were full days of caring since I didn’t have to work, so those evenings were out. I’d get home and sit around agonizing over all the things I wanted to do but didn’t have the energy. 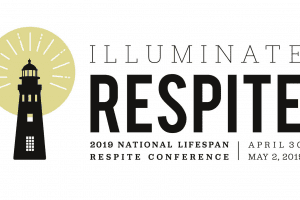 I realized that was no life for me, and I feared it might start pouring over into my caregiving role. Somehow, I could feel a storm brewing and I needed to get some backup in place. So, I did what any other millennial person would do and I turned to social media. 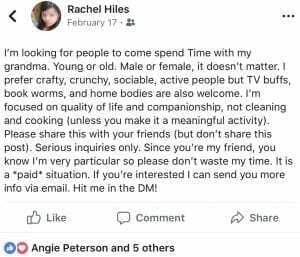 In February, I posted on my social media channels that I was looking for some helpers for Grandma. I know everyone probably thinks I am a weirdo when I say this, but when I made this post, I LITERALLY was picturing my friend, Leslie, in my mind. Leslie and I went to grad school together. She’s one of the few I kept after I graduated. She’s very educated and kinda crunchy and loves people. Guess what! She tweeted me back immediately and asked where to sign up!! Leslie and Grandma and I all pow-wowed at an ice cream shop for the interview and we agreed Leslie could help on Thursday nights, freeing me up to attend a board meeting for an organization I volunteer for and have two evenings to myself. Then, another friend messaged me on Facebook. She knew someone who was interested. Karlin joined our team at the beginning of March. We successfully filled up all of Grandma’s weekday hours. I finally got Grandma’s lineup arranged to a semblance of sanity. Calvin passed away in March. It’s the first time I’ve been responsible for making final arrangement of someone I dearly loved. Parallel to the process of settling his estate, I’ve been dealing with all the typical feelings- denial, sadness, loss, guilt, and culpability. I experience flashbacks of our last moments here together on earth. Waves hit me out of nowhere and I’m frozen, overcome by emotions. Add to that the anticipatory grief for Grandma that resurfaced when I lost Calvin. I started thinking about what was going to happen if and when I lose Grandma. Pretty soon, I told myself, I’m going to be all alone in life. Some might say I didn’t manage the balance between work and life very well. Hell, even my own boss didn’t believe me when I handed in my resignation. Through all of this, my concern was on others when I should have had a little more for myself. And now, here we are. Despite all of our best efforts to maintain a constant routine and keep things the same as much as possible, Grandma has declined quite a bit over the past year. She is declining physically. Our typical Sunday routine was church and grocery shopping. Grandma can no longer tag along to the store. So we’re talking about visiting the farmers market for fresh food on the weekend and tackling a shorter grocery list mid-week. Grandma doesn’t think about her walker tray even though she walks right by it every time she goes into the kitchen. She falls trying to carry too many things instead of focusing on walking. Grandma fell and forgot to press the Medical Alert. She didn’t want to bother me at work, so she called someone from church to help her. Frustrated, I went through the regular schpeel: I should be the first call and she should never be afraid to call me. Grandma and a Jehovah’s Witness lady started having regular visits on Wednesday afternoons. She was letting her in and spending a good chunk of time chatting with the lady. She never told me about the lady until I found a Bible she’d left for her. It probably never occurred to Grandma to let the lady keep it moving because she was a Baptist! Imagine my disgust to find out a complete stranger had worked her way into the house! I explained to Grandma that not everyone is who they say they are and not everyone means well. I called the lady and let her know she needed to go through me if she wanted to keep talking to Grandma. Grandma eats spoiled food despite the counsel of her helpers. When Grandma’s fridge went out right before I went to spend Calvin’s last two weeks caring for him. Against the advice of myself and Karen, Grandma ate some food that had been left out for who knows how long. That landed her in the hospital with enteritis. Adding to Grandma’s natural decline, the three week disruption to our routine this March moved her downward trajectory. Even though she bounced back a little from the hospitalization from eating left out food, she hasn’t returned to who she was even just a few months ago. I’m working on predicting calamity. 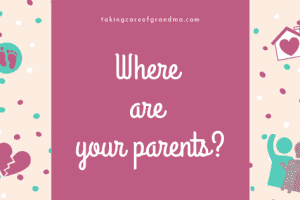 Knowing that Grandma doesn’t remember certain things that will keep her safe, we have to figure out how to stay one step ahead of her and put safeguards in place to prevent these kinds of things from happening. 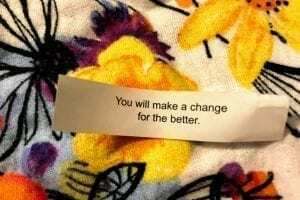 When someone is changing (due to aging or a health condition), we often are the ones who need to change. My grandma can’t help the fact that she doesn’t recall what we did yesterday or that she didn’t notice the notes I left for her all around the house. 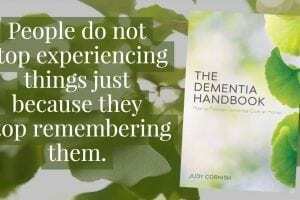 Her aging brain does not always calculate the steps she needs to take to safely travel from one room to the other. I took a long look in the mirror and realized that it’s not Grandma who needs to change, but me. If I speak in the tongues of men and of angels, but have not love, I am a noisy gong or a clanging cymbal. And if I have prophetic powers, and understand all mysteries and all knowledge, and if I have all faith, so as to remove mountains, but have not love, I am nothing. If I give away all I have, and if I deliver up my body to be burned, but have not love, I gain nothing. So right now, I’m working on how to respond in love…. …when Grandma asks the same thing three times inside of fifteen minutes. …when Grandma forgets to do something I wrote down in four different places. …when Grandma makes a huge mess because she is doing too much. …when Grandma falls and I have to drop everything to rush out there and pick her up. …when Grandma goes to the hospital and I have to rearrange my life to be with her. Another challenge is working in cahoots as a care team. I wish I could say this is a new struggle, but even as Calvin’s guardian, I had to learn how to swallow my pride, pick my battles, let things go, stay positive, and take other people’s point of view into consideration. Looking back over the past 365 days, I can see where better communication on my part would have helped in many situations. Sometimes, we blindly convince ourselves into believing that other people will do what we would do. Instead, we should lay out clear expectations about what we want people to do, so we don’t get upset or disappointed when they act differently than we would have. Often times, when I got upset over something someone did, it was because I didn’t leave specific instructions on what I expected. So over the next year, I am going to try harder to communicate. In partnership with Grandma, we are going to be more intentional in our planning each week, with more detailed plans of activities and meals. 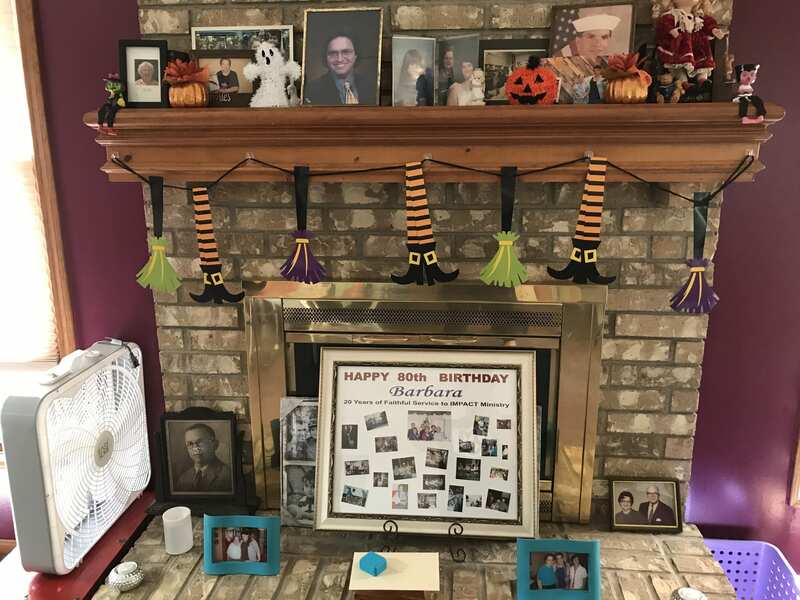 We are going to consistently “use our tools–” that is, rely on all of the wonderful technology and procedures we have set up around her house to keep her safe and help her have a good life. 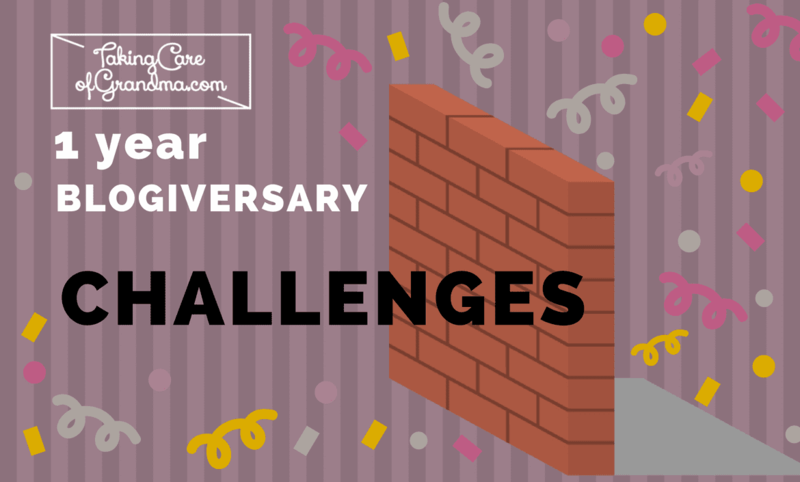 Nobody wants to go through hardships and challenges, but I can’t wait to see how we meet the obstacles we come across in the year to come so I can share more lessons learned with you! 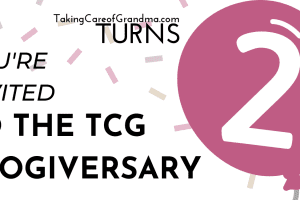 I hope you will follow along with us on our adventures and mishaps over the next 365 days and stick around with me for the TCG Blogiversary Party activities throughout the month! Tomorrow, May 17, I will extend special gratitude to a great resource that I have relied on over the past year. 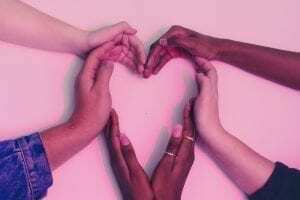 Be sure and join us for the Blogiversary Party on May 23, 2018! 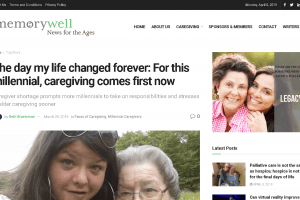 We will feature videos from real life caregivers from all walks of life. Watch for the roll out of a new logo and a extreme blog redesign by the end of the month! Thanks for sharing your experiences taking care of your grandmother – I think it helps other families to realize they are not alone in this! It’s so important that seniors remember to wear their medical alert buttons, it just needs to become a habit. Charlie, thanks for stopping by and thank you for your comment. Getting Grandma to wear her device wasn’t as hard as helping her remember to use it when she needed it. It required lots of practice. We test our device every month as recommended, and it helps her remember what to do when she can’t get to the phone and needs help.